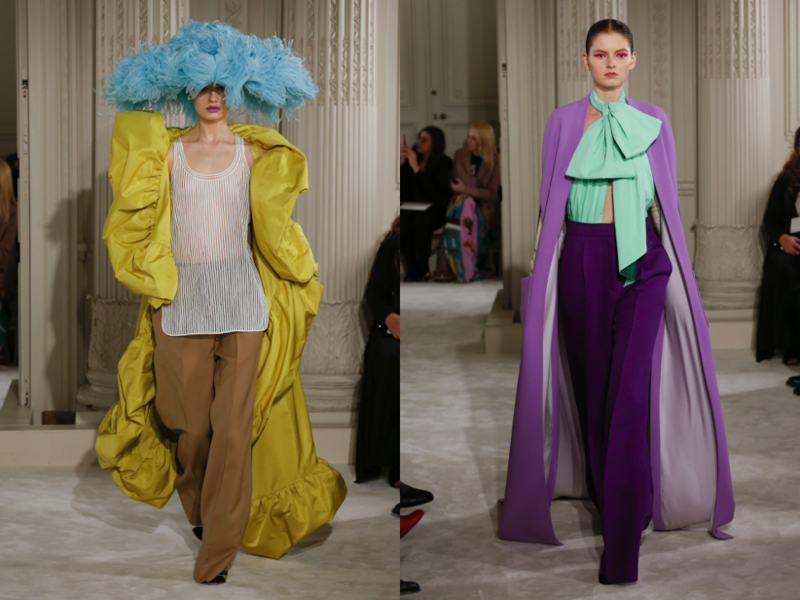 Pierpaolo Piccioli, without any doubts, I’m calling your latest haute couture collection for Valentino the best of the season. It’s so captivating, delightful, grandiose, majestic! So many big words are here to describe every single piece of the show, from the boldly-coloured feather jellyfish headwear by the miliner Philip Treacy to the voluminous, ball gowns in lady-like tulle and pure silk. Pierpaolo reaches the heights of Valentino Garavani, the master, with this incredible collection. 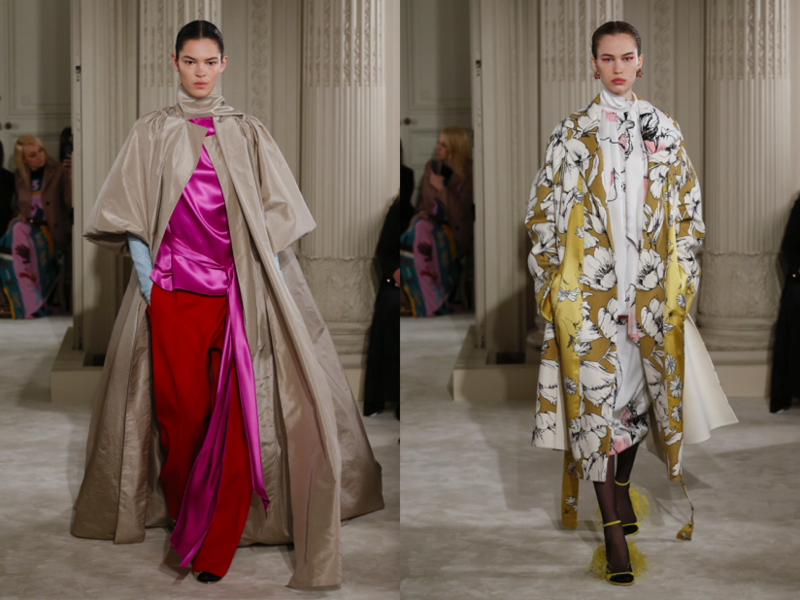 It’s a comeback to couture that really looks like couture, updated with very deluxe tank-tops, flares fit for dames and clean-cut outerwear (which makes an entrance – just see that statuesque, yellow coat!). Piccioli combines jewel-toned colours with pastels, and at some points goes for elegant black and white. But what I love the most about this impressive outing is its easiness. It’s fun, its rich, it’s wearable, yet not ordinary. Since Maria Grazia Chiuri’s departure to Dior, I haven’t seen anything particularly interesting about Piccioli’s solo direction – in fact its been quite dead. But now, he seems to blossom, in a good, fashion dream way. Bravo! This entry was posted in Couture, Paris, PFW, Trend Reports and tagged couture, paris fashion week, Spring 2018, valentino. Bookmark the permalink.